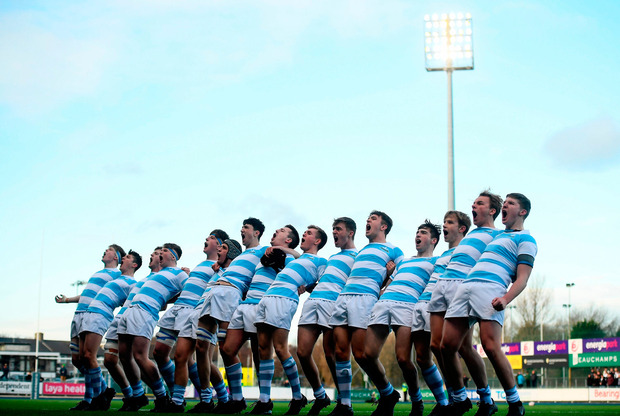 Blackrock were made to fight right to the last minute to overcome Pres Bray in the Leinster schools Senior Cup first round at Energia Park today. They didn't take long to show their fluidity David Fitzgibbon's sleight of hand putting Sean O'Brien through a gap. The flanker showed a nice understanding of time and space to delay the pass until wing Niall Comerford was free to make his way home in the fourth minute. It was then Pres went into overdrive, their smaller boys lasting the pace far better. Tight-head Darren Magee showed plenty of it to churn out ten metres for a fine try, converted by O'Gara in the 48th minute. Then, centre Peter Ford worked an opening for Samuel O'Dowd to flash home in the 59th minute. Their momentum was stymied by Scott Barron's power-finish before scrum-half Ben Murphy twisted over Mick O'Gara to convert on the final whistle.